Keith Hudson aka the “Dark Prince of Reggae” (1946 in Kingston, Jamaica – 14 November 1984 in New York, USA), was a Jamaican reggae artist and record producer. He is known for his influence on the Dub movement. Raised in a musical family, Keith Hudson attended Boys Town School in Kingston, where he organized school concerts with schoolmates including Bob Marley, Delroy Wilson, and Ken Boothe. He was an ardent follower of Coxsone Dodd’s Downbeat sound system and was soon hanging out with musicians such as Don Drummond, carrying his trombone into sessions at Dodd’s Brentford Road studio when he was around fourteen. He produced his first track in 1960, an instrumental featuring musicians who would go on the join The Skatalites, although it wasn’t released until 1968 (as “Shades of Hudson”), by which time Hudson had launched his own Inbidimts label. After leaving school he served an apprenticeship in dentistry, and used these skills to raise money for recording sessions. In 1968 he obtained some Termites and Carl Bryan rocksteady rhythms from Olympic Records, and recorded new vocals over them, such as “Old Broom” and “You Must be Popular”. These early 45s on his own Imbidmts and Rebind labels enjoyed sufficient success to enable him to purchase some studio time of his own. His first recording session produced Ken Boothe’s Jamaican hit “Old Fashioned Way”, later versioned by Dennis Alcapone as “Spanish Omega” and U Roy as “Dynamic Fashion Way”. In the following months he worked with vocalists Delroy Wilson (“Run, Run”), Alton Ellis, Bunny Gale and John Holt (“Never Will I Hurt My Baby”). He was one of the first to record DJ U-Roy in 1969, although U-Roy’s first recording had in fact been made with Peter Tosh for Lee Perry – “Earth’s Rightful Ruler”. Other deejay productions included numerous tunes with Dennis Alcapone (e.g. “Shades of Hudson”), and Big Youth’s “S.90 Skank” released in 1972 became the deejay’s biggest hit, with added motorcycle noises recorded in the studio beginning a trend followed by other producers such as Dodd and Perry.In the first half of the 1970s he regularly used the Soul Syndicate band, featuring George “Fully” Fullwood and Carlton “Santa” Davis. In 1970 Keith Hudson began to record his own vocal tracks. Whilst always somewhat limited vocally, he recorded countless tracks as a singer, and concentrated on his singing career from 1972. He started further record labels such as the Mafia label. His early Jamaican albums Furnace and Class and Subject featured his own distinctive rasping vocals, along with dubs and deejay versions. In 1974, Hudson released his classic Pick a Dub, widely considered to have been the first deliberately thematic dub album, with tracks specifically mixed in the dub style for the purpose of appearing together on an album. 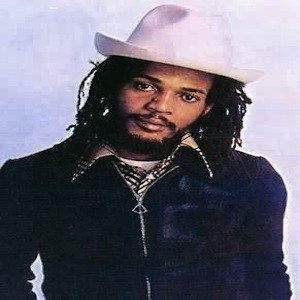 It featured dubwise mixes of his “We Will Work It Out”, the basic track for “S-90 Skank”, with a fresh melodica part by Augustus Pablo, Skiddy and Detroit’s “The Exile Song”, and remakes of The Abyssinians “Satta Massagana” and “Declaration of Rights”. It was also the first dub album to gain a release in the United Kingdom. By now, Keith Hudson had effectively stopped recording other singers and DJs to concentrate on his own singing. He had completed a large number of backing tracks and, after the limited success of his third LP Entering the Dragon he emigrated to the United Kingdom, where he signed up with Brent Clarke’s Atra label and worked at Chalk Farm Studios in London with a number of British-based reggae musicians, overdubbing his Jamaican rhythms. The first album to emanate from these sessions was Flesh of My Skin, Blood of my Blood (1974), his first UK only release and an album that has been described as “a masterpiece”, and one of the first reggae albums proper, rather than merely a collection of singles and fillers. It has also been described as “reggae’s first true concept album”, with the lyrics relating to black history and “conscious” themes. The album was not released in Jamaica, although it acquired a formidable reputation there amongst more progressive musicians. His next UK-based album Torch of Freedom featured vocal cuts with their instrumental versions following immediately after, a format that was to come into fashion three years later during the “Showcase” craze. In 1976 he moved to New York City and signed a four-year contract with Virgin Records, the first release being the soul-influenced album, Too Expensive, which was poorly received by critics and didn’t sell well. Hudson returned to reggae with the “(Jonah) Come Out Now” single, released under the pseudonym Lloyd Linberg, and Virgin terminated his contract. Hudson then started a new label of his own, Joint. He resumed working with the Soul Syndicate, who had backed him on many of his best recordings in Jamaica. His album Rasta Communication (1978), which had been preceded by its issue on dub as Brand, was well received by a wider audience and is considered a roots reggae classic. It was followed by Nuh Skin Up Dub and its vocal counterpart From One Extreme to Another in 1979. Hudson also released a deejay album by Militant Barry based on the Brand rhythms, Green Valley. By the early 1980s, he was considerably out of step with modern trends in “dancehall” music. He reverted to his classic rhythms for his next to last album Playing It Cool (1981), recording new vocals on heavily overdubbed mixes of the earlier tunes. He released one final album in 1982, Steaming Jungle, which attracted little attention. It was reported in 1984 that he was once more working with Aston and Carlton Barrett, who had played on Pick a Dub and Torch of Freedom. Hudson was diagnosed with lung cancer in August 1984, and appeared to be responding well to treatment, but on the morning of 14 November he complained of stomach pains, collapsed and died.